My recollections of Chiang Mai back on my first visit as a 20 year old backpacker, is of a friendly city – one that was used to tourists with its night markets and tour packages on offer at every second storefront. On my recent return a mere 11 years later sans backpack and with the comfort of a car I barely recalled this city. This says more about what I was doing then than now. Back then I viewed Chiang Mai as a place to stop by in between travel and activities in the area. I was doing cooking courses (not unusual), meeting up with friends, going to rooftop bars and parties and going off to do treks and elephant riding. On my recent visit I wanted to relax, walk around, practice my photography and take everything in. With this change of travelling style, a city thriving with culture and history was revealed to me. It was still friendly and catered for tourists but showed its soul, which I had missed the first time. 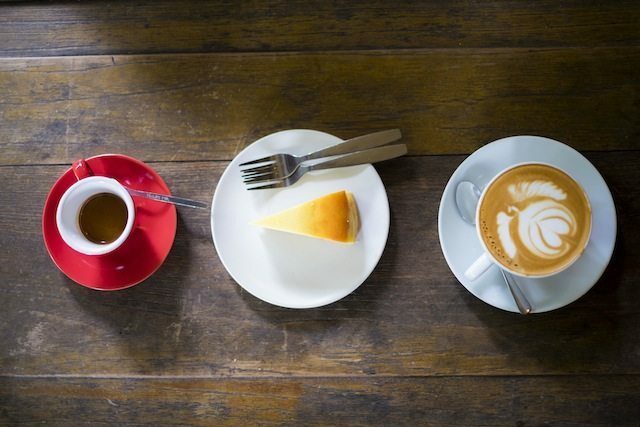 In recent times I have heard about Chiang Mai’s growing coffee, café and food culture. They have coffee plantations a stone’s throw away and are home to a world latte’ art champion. At a dinner party with friends who work as diplomats we were told Chiang Mai is one of the most coveted postings in Asia, and after my recent visit I understand why. Although it was brief, I returned to several places over the course of four days. Some I would like the chance to go back to before I list them here but the short list I have included were my favourites. 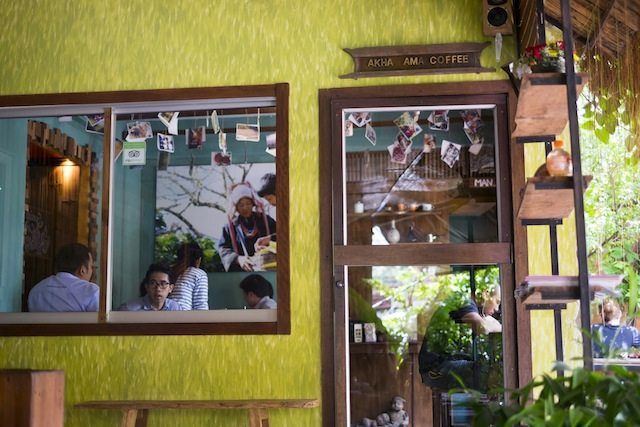 If you are visiting, here are some Chiang Mai cafe’s to add to your list. If you have any tips or recommendations, please leave them in the comments – I would love to hear them. Finding Western style brunch in Chiang Mai is not easy. We discovered a little spot off the Sunday walking street that made a fantastic dish of poached eggs on English muffins. We were returned there several times until we discovered Overstand Coffee. Overstand is very small space-wise. 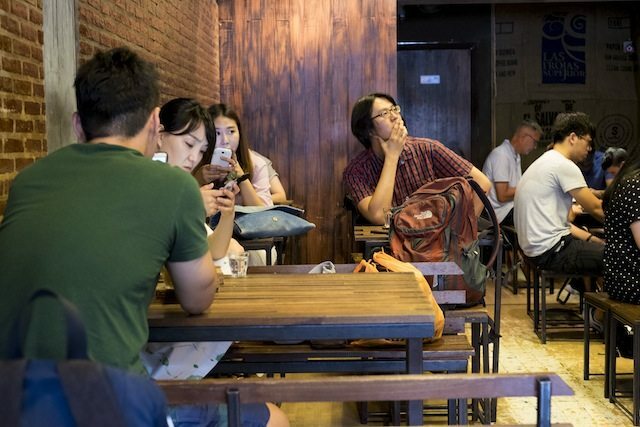 They have a common table right in the centre of the cafe’ that would be well suited to groups but for the most part their seating is ideal for solo travellers, or couples. Having said that, be prepared to have one of the most stand out Western style breakfasts of your trip. 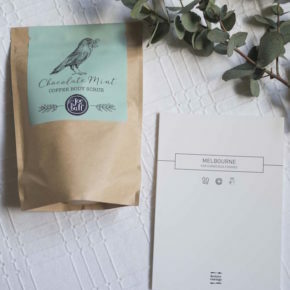 Overstand Coffee could easily be a cafe’ you would expect to find in Melbourne. The menu is small but detailed and well put together with warm flavours. 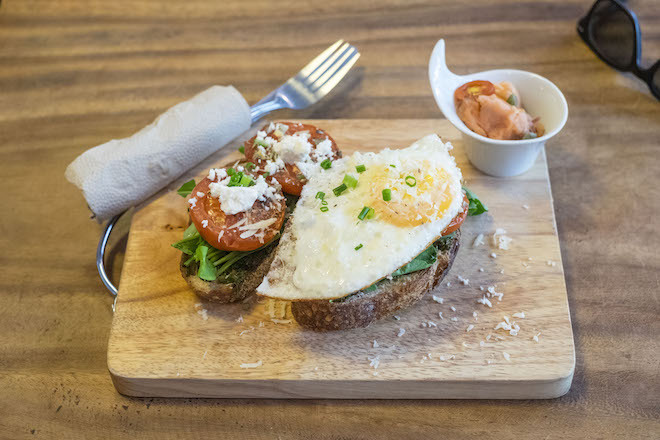 They offer pizzas, a range of dishes served on or with sourdough, as well as sandwiches and salads. The service is fantastic, and the dish presentation shows a consistent attention to detail. The several times I’ve been to Overstand I continue to order their parmesan egg on sourdough with a range of sides. Some of these include oven roasted tomatoes and hummus! I should also mention that Overstand make a terrific coffee, and it’s another bonus that they offer fresh coconuts. I highly recommend Overstand for breakfast or lunch in Chiang Mai. Akha Ama Café was recommended to me by the owners of our favourite café in our new home, Phitsanulok (Pista Café). A small but charming café with a rustic feel, Akha Ama focuses on coffee and sweet treats, so I would recommend it for a coffee fix or afternoon tea. 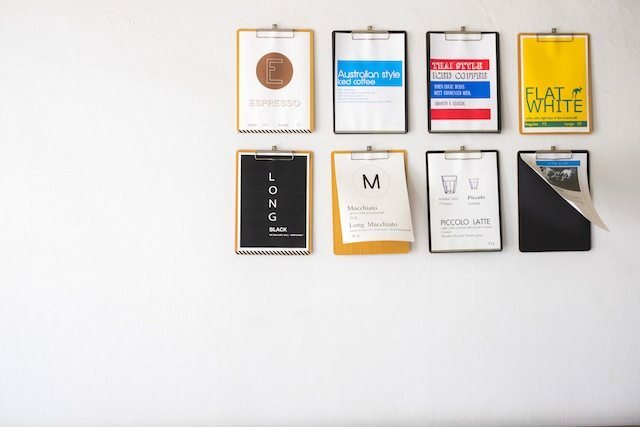 What is unique and appealing about Aka Ama is that you are supporting a local social enterprise. In a short period of time the result of Aka Ama’s direct work with the ethnic Thai Akha tribe coffee farmers as well as educating them on constantly creating a better product; has lead to a world class product. 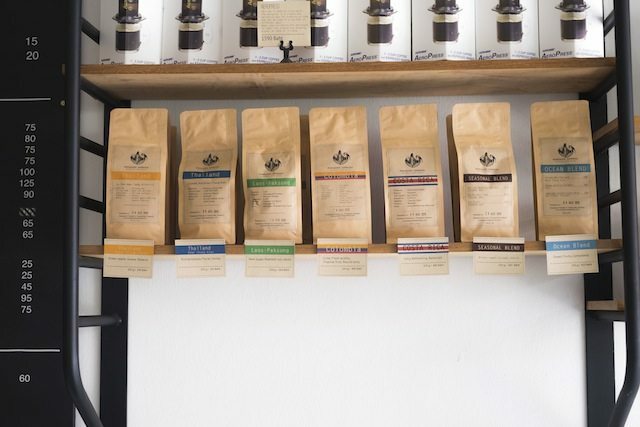 Their coffee beans which can be bought at the café have been recognised thrice (2010, 2o11 and 2012) by the Specialty Coffee Association of Europe. You can read more about their amazing work here. Another solid recommendation from our friends at Pista Café was Ponganes Espresso – a gem of a café. 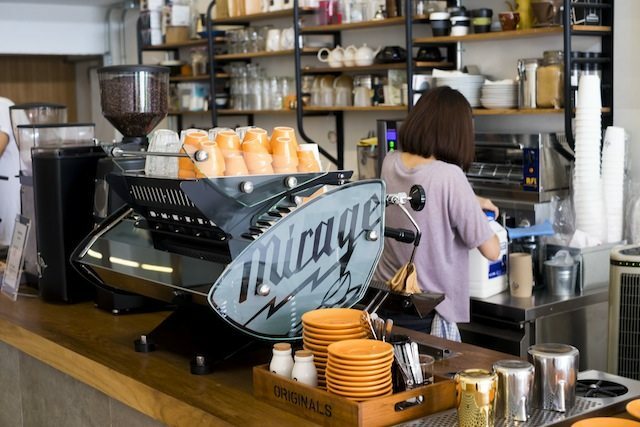 It has that very sleek and industrial Melbourne interior style, fronted by two very warm owners, Pong and Nes who the café’ is named after. 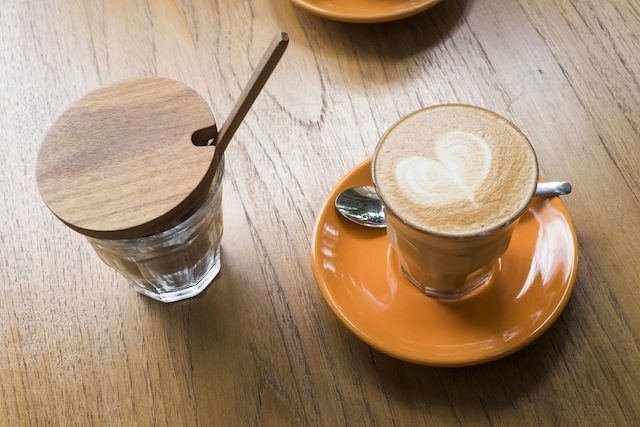 They have all the classic styles of coffee on offer as well as iced coffee both Thai style and Australian style. Depending on the day they sometimes have cookies, pastries and the odd toastie. They roast their coffee on site (and do a bloody good job of it) but when I asked Nes where they get their beans from she paused and sighed, indicating a complicated answer. For their Latin and South American beans (Colombia and Costa Rica for example), they buy from a coffee broker but foreign beans incur a 90% tax so they prefer buying Thai beans and supporting their local community. Their process of dealing with Thai farmers, which makes up about 70% of their coffee bean range however, is complicated. The farmers they deal with don’t heed to their requests for a quality bean, for example: they continued to supply them with beans that had been spoilt by insects. So after some difficulty trying to deal direct with farmers, she now uses a local Thai middleman to buy the beans from the farmers. This is just another example of a café, that although is not a social enterprise, takes pride in their work, always striving for a quality bean and cup – which in my opinion they have succeeded in. Ristr8to is home to Thailand’s latte’ art world champion, Arnon Thitiprasert. I had read about him and the café recently and felt compelled to visit due to the accolades. The café is bigger than Ponganes but probably seats the same amount of people as Akha Ama (medium sized). However, each time we visited, it was packed which makes it the perfect take away coffee spot. Their coffee is excellent and the barista’s are so engaging to watch as they appear almost mesmerized creating their latte art for each cup with genuine love. I ordered soy milk for my latte as always – which was excellent but the type of soy they use tastes so much like milk I found it a little difficult to sip on at times (I have a real aversion to warm milk) – just a head’s up to the fellow soy drinkers. Again, you won’t be able to have a full breakfast or brunch here but Ristr8to do offer some sweets like waffles on the menu to go with your coffee.